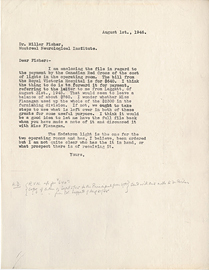 Draft letter from Wilder Penfield to Charles Miller Fisher, August 1, 1946. 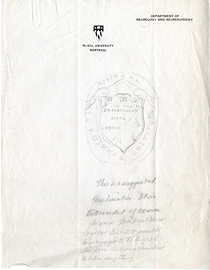 Draft of a letter from Wilder Penfield to Mrs. Madeleine Ottmann, April 18, 1930. 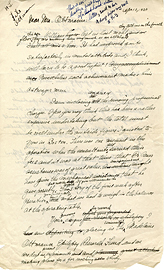 Draft of Bon Voyage Dinner Speech. 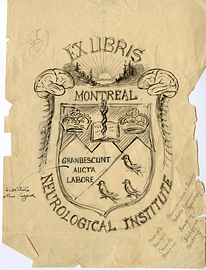 Draft of the crest of the Montreal Neurological Institute, drawing. 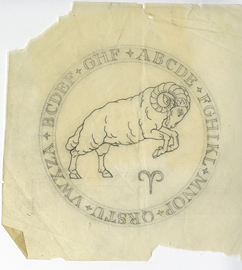 Drawing of a ram surrounded by the alphabet. 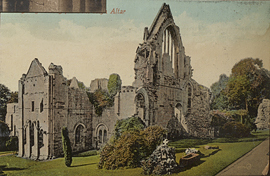 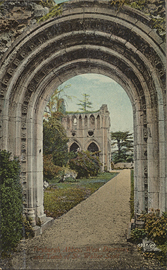 Dryburgh Abbey viewed from High Altar, postcard. 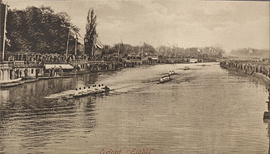 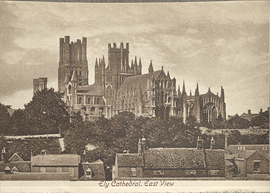 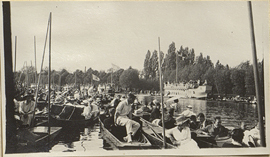 Eastern view of Ely Cathedral, photograph. 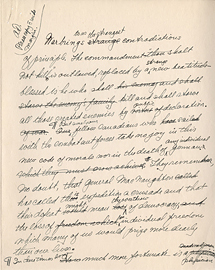 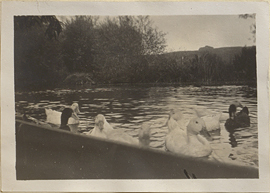 Eighth Interim Report the No. 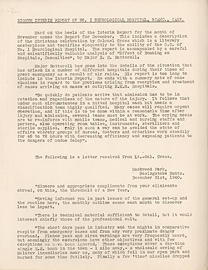 1 Neurological Hospital, RCAMC, CASF. 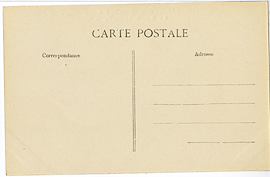 Elephant and Tiger on Notre Dame Cathedral, postcard (back). 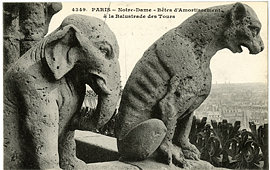 Elephant and Tiger on Notre Dame Cathedral, postcard (front).